There comes a time in every scaling tech start-up’s life when an engineering team begins to show signs of needing help. The symptoms can include lost velocity in releasing new products/features, attrition or morale issues, fragile code or lack of innovation. 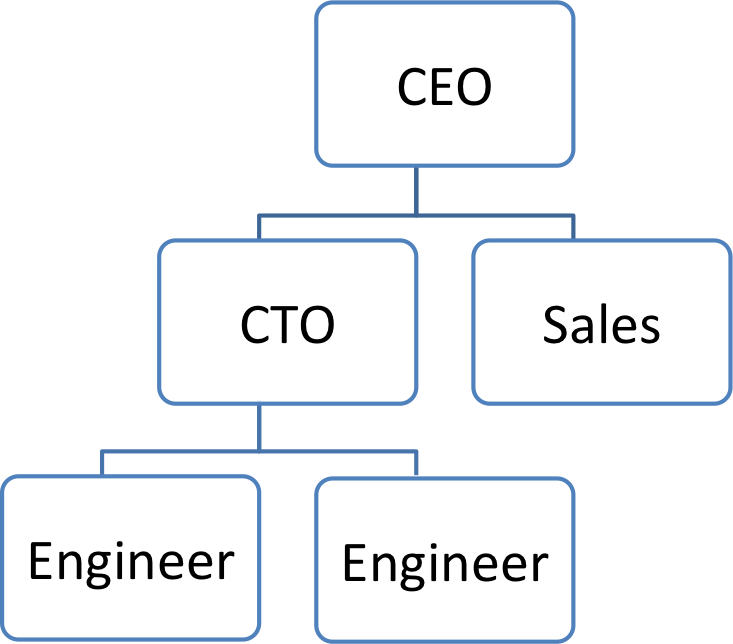 I frequently hear CEOs and founders say “we need a new CTO” or “should we hire a VP of Engineering?”. But what does that really mean? A title is one thing, but the skills necessary to cure the symptoms is a whole other challenge. Most tech startups have someone serving as CTO — whether it is one of the co-founders or a first senior hire. The role of the CTO is not straightforward and as a company scales, it’s unreasonable for that role to be the end-all-be-all. In the early days of a startup, the CTO is often the chief cook and bottle washer for all things technical. She is coding, serving as the de facto IT person and project manager as well as meeting customers alongside the CEO and helping with hiring decisions. She is expected to be deeply technical and often a domain expert. Firing on all of these cylinders may meet your company’s needs in the short-term, but quite often, there reaches a point where your CTO is no longer being excellent at what they came to your company to do. The Evangelist — The shameless promoter of your product, this CTO is out on the road meeting prospects, existing customers and partners and marketing your product. At the same time, they are gathering valuable insight into your product, its pain-points and understanding how it compares to the competition. They are mindful of industry trends and the ecosystem of which your product belongs. They are the ultimate voice of the customer and are keenly aware of the product priorities. They set the vision for the “.next” of your product and the long-term roadmap. They may have once been a coder and understand the basics of your technology architecture. They can go head-to-head with other technology leaders in your space and represent your company at technology conferences. They also tend to be a recruiting magnet for engineering talent. This CTO works hand-in-hand with the CEO and sales and marketing leads to set the strategy for the company — from market direction to the operations and scale of the business. They are financially savvy and comfortable presenting to and working with your Board of Directors. The Expert — Often a domain expert or technical guru, this CTO is heads down with your engineering team ensuring your products are built to perform at scale. They may code, sit in code reviews, and mentor junior engineers. They are either designing your underlying architecture or at the very least leading that conversation and signing off on proposed plans. Also talent magnets, they attract senior engineers who wish to learn from this CTO’s experience. They may be key contributors to the open source community, prolific in filing patents, publishing technical papers and speaking at technical and academic conferences. While they enjoy meeting customers and value the insight from those meetings, they prefer more intimate meetings with technical members of customer teams and whiteboard sessions to brainstorm solutions vs. “selling” your products. This CTO works closely with the sales and support team and often leaves the company strategy and growth discussions to the CEO and other leaders of the organization. They have an opinion on where the company should go, and they’re not afraid to share that, but they leave the details up to “management”. Process oriented — highly organized around priorities, velocity, quality and meeting deadlines. They have strong project management and communication skills. Great at hiring — pattern matching skills for not just technical expertise, but for people who are collaborative and mission-driven. Knows how to ID the prima donna engineer from the eager-to-learn engineer and when to say “no” even with a great looking resume. Team fit is paramount to success. Great at growing their team — this isn’t about going from 10 to 40 engineers. This is about career development. They’ve got a track record for bringing junior engineers into an organization and developing them into technology leaders and domain experts. Their former engineers have followed them from company to company because they are great to work with. They know how to have fun, but also how to appropriately push a team towards meeting a deadline with urgency and not burn them out. Challenges the status-quo — they won’t just keep building what the co-founders started, but will question both the what and the how. They understand the impact that technical debt can have on the long term scalability of your products. They also know how to tune processes without overkilling the company with process. They are motivated to deliver products and features that customers not only need, but love. Not afraid to get their hands dirty — they lead/attend code reviews, can code if there is an emergency, enjoy tinkering with competitors’ products to understand advantages/challenges of your own products, and appreciate the fine art of squashing bugs. They come in early and stay late when there’s a deadline — even if it’s to make sure engineers are getting food and coffee. Strategic thinker — while a VP of Engineering may not be at the the table deciding the fate of the company, they are part of the discussion. They understand tradeoffs of time-to-market vs. quality and value the need to get a MVP out the door to garner customer feedback early on. They may push for a product or feature, but also respect the larger vision of the roadmap and know when to let go of something that isn’t a priority — in fact, the really good VPE’s kill things sooner than a CTO or CEO may like for the sake of velocity and GSD. When you’ve decided it’s time to fork that technology leadership role and have both a CTO and a VPE, look for someone eager to create a partnership. Someone who prefers to lean into GSD and growing teams and who values the technology leadership, vision and evangelism of your CTO. Be leery of career CTOs who seek a role as VPE at your company — they may say they’re willing to be in charge of GSD, but could easily step on your CTOs toes. Look for examples of past engineering leadership roles as managers or tech leads. Also look for measurable achievements like improved velocity rates, quality improvements or hiring/team development metrics. Those are telltale signs that you’ve got a solid VPE candidate. Sometimes it takes a lot of soul searching for a founding CTO to realize they’re not serving the company well around VPE-types of activities. I’ve seen plenty of CTOs worried that with a VPE on board, they’re not sure what’s next for them at the company. I’ve also seen CTOs excel when partnered with a great VPE where they can set the vision and execution strategy in tandem. Fortunately, I am lucky to have such a VPE on board here @DigitalOcean — as well as two awesome Engineering Directors with whom we partner to drive our technology roadmap. Have you struggled with the CTO to VPE fork? Share your experience in the comments! Scaling Another Rocket Ship: Hello DO! Every once and awhile, I meet a company so exciting, I can’t sleep because I’m thinking non-stop about its potential to scale, massively. Fortunately for me, I ended up joining two of them that turned out to be great success stories and I think I just found my third. Starting this month, I am joining the ranks at DigitalOcean as their CTO. Anyone who knows me well would agree that as much as I am an organizer and planner, I am also a risk taker. I love diving into challenges and creating results that require skill, agility and building relationships. While business savvy and technical skill are paramount to growing a successful tech company, understanding the human element and building high performing teams is what separates the good from the great. In 1999, with a three year-old and an infant, I quit my healthcare IT job to go to Akamai to help them get organized before our IPO. Most of my friends and colleagues thought I was nuts, but I was hungry for bringing order to chaos and building something that made an impact. My three years at Akamai were among the toughest and most rewarding years of my career. We created the world’s first CDN for businesses and turned it into the backbone of the internet. The teams I led and partnered with were some of the smartest and coolest humans I’ve had the pleasure to work with. We pulled all-nighters together, cried together when we lost our CTO-Founder Danny Lewin on 9/11 and still celebrate the company’s success together at our annual “Akamai Pre-2002’ish Employees” reunion. In 2005, I landed at VMware right after the EMC acquisition to help them figure out how to run a global engineering team. I took a leap of faith that we would not get fully absorbed into EMC (which was their MO at the time) and that I could help build another company made to last. What I found when I interviewed at VMware was the same good vibe I had at Akamai. Super smart people, fun, passion and humility…and of course, a wicked cool product. I still remember my final interview in Palo Alto – a last minute “Diane Greene would like to meet you” – that threw me for a curve. I was pretty frank with Diane that I wasn’t sure I could balance my role at VMware with three small children. She assured me that VMware would make it work, and they did. Both my career and the company flourished over my eight year tenure at VMware. When I joined the company, we had just over 800 employees and around $200M in revenue. Today, it boasts close to 19K employees and 2015 revenues were $6.57B. It was an incredible ride to help scale something that spectacular. When I left VMware in 2013, I felt very lucky to have been part of two incredible rocket ship stories in the technology industry. After much soul searching around “Julia.next”, I settled into the startup ecosystem in Boston. I became a mentor at TechStars and recently began teaching a Product Management course at Harvard Business School. Until recently, I was fairly certain this was the tail end of my journey, but something was gnawing at me that I had at least one more in me. One more amazing rocket ship I could help scale. Over the past few years, I’ve made a few investments and became a formal advisor to the founders of several local startups. It was one of these founders who introduced me to Moisey Uretsky, DigitalOcean’s co-founder and Chief Product Officer. For those who don’t know Moisey, let’s just say brilliance and tenacity is an understatement. Despite my protests against working with a company in NYC, Moisey convinced me to come to DigitalOcean HQ back in January to meet his equally brilliant and tenacious brother and co-founder-CEO, Ben, and get to know the business. One visit became several and within a matter of a few weeks, I was fully enamored and signed up to advise the company. During my early work with the DigitalOcean team, my instincts told me that this is going to be another winner. It is beyond impressive how, in just four short years, DigitalOcean has built such a strong platform and community. Ben, Moisey and I – along with the other key members of the DigitalOcean leadership team – began to work together to forge a partnership that will enable us to super-scale this company. The achievements we’ve made to grow the business so far left me unable to resist the temptation to join full time to help take it all the way. So now here I am, honored and excited to be DigitalOcean’s new CTO. So what is it about DigitalOcean that gets me so excited? In addition to our tremendous business growth, strong culture, talented team and impressive list of investors, the most striking is the simplicity of DigitalOcean’s features that developers love. We let developers create, automate, and manage a robust cloud server infrastructure out of the box with floating IP addresses, shared private networking, tier-1 bandwidth, team accounts and SSD hard drives which all come as standard. And all of our services can be provisioned in as little as 55 seconds with a plan for as low as $5 a month. I am continuously blown away at the reaction I get from people in our industry who hear I am working with this company. #digitalocean – where we use ❤ as much as 🙂 in a typical conversation. This is going to be another incredible journey of risk, opportunity and balance for me. We are an organization that values learning and what better way to hold that true than to continue teaching my course at HBS (fear not, @teisenmann & PM101’ers!). And, while I’ll certainly be spending a lot of time at our HQ in NYC, I will remain living in Cambridge and to continue to be an active member of the Boston area startup community. Finally, I am hiring! We’re looking for amazing talent across the company. Check out our current career opportunities both in and outside of NYC. Will DigitalOcean be another massively scaling rocket ship ? I’m pretty bullish about it. So check back here soon for updates on how it’s going! In addition to creating a new company that is disrupting the status quo, many founders are also challenging the old norms of how businesses operate in order to add value. When you are struggling to raise capital, hire, and scale your business, is there time and energy available to also rethink how you do business in general? How much effort do you want to put in to stand out as a company not only creating something spectacular, but also a company that differentiates itself as an employer? What truly matters in the end is whether that transformational effort adds value. In 2012, the gaming company Valve published their novel Employee Handbook which outlined their organization structure (or lack thereof). Valve challenged the notion of having assigned projects to work on or managers to report to. Many other companies have taken similar approaches not only to attempt to operate more efficiently, but also to attract and retain talent by differentiating their companies from the mainstream. Whether or not the super flat organization or self-directed projects works, these companies have challenged the standard on how business are “supposed” to run. One could argue that these attempts to be different are distracting and time consuming when the work just needs to get done. However, by taking a chance at doing something different, not only are they attracting new talent, these companies are fueling creativity and innovation across their organizations. Transforming your business doesn’t always have to be time consuming or distracting. The company Amplitude challenged how businesses handle equity compensation by extending the company options exercise windows to TEN years vs. the standard 90-day window most companies offer. Amplitude also helps employees understand the complexity of their equity plans by outlining in detail the possible scenarios and potential outcomes of their particular grants. The message here is A) you add value to this company and should benefit from it well into the future and B) we want to be sure you fully understand that value as an important member of our team. I imagine neither the window extension or transparency tactics were very time consuming or distracting to implement (well, perhaps the former took some selling to their investors! ), but they certainly make this company stand out as an employer and innovator. Most recently, eShares has stepped up their game by revamping the offer letter. CEO Henry Ward decided that, being in the business of equity management, they should excel in helping job candidates and new employees fully understand what it means to have options in their company. There’s even more to it though, as the offer letter outlines very clearly where a new hire will sit in the organization and what their first week of work will look like. The have transformed the on-boarding process by starting with the offer letter vs. waiting for a new employee to sign and come on board. Perhaps this is an attempt at self fulfilling prophesy (if we tell them about their first week, they’re more likely to accept our offer! ), but regardless, the effort to be transparent sets this company apart from so many of the humdrum companies doing the same old thing. Just because it’s been done that way forever, doesn’t always mean it’s the best way to do business and it certainly won’t set you apart from your competitors. Many entrepreneurs are getting advice from old-school investors and advisors who saw it done a certain way that worked in their day, but that doesn’t mean that’s how it has to be done. If you choose to take a new approach, don’t do it for the sake of being different, do it because it either enables your company to run more efficiently and/or it adds value for your employees or customers. Have you transformed your business beyond the new products and services you offer to your customers? Share what you’ve done in the comments. Last week I had the pleasure of co-hosting an event with the wonderful team from Inteligent.ly. Our goal was to pull together local Chief People Officer types from startups (COOs and CFOs included) to get a conversation going around scaling organizations. It was a wonderful dialogue centered around talent acquisition, development and retention as companies scale. I think most of the attendees would agree, we could have talked for hours if we had the time. One striking take-away from the evening, however, was the topic of parents involvement in the hiring process. Yes, you heard me, parents are flying their helicopters too close to the work place. The topic on the table was “hiring and working with millennials” and the question was how far to go to cater to this demographic. 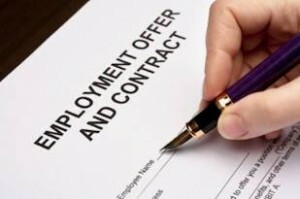 One attendee told a story of a recent job candidate with approximately 5 years of experience who was shopping his offer from his company around to others to see what kind of deal he could get. The experienced, C-level, leader telling the story had given this candidate a short window to make a decision – he either wanted the job or he didn’t. When the candidate didn’t respond by the deadline, he was informed via email that the offer had been rescinded. The candidate responded with a detailed email on why he needed more time. When the leader questioned the rationale for needing more time, the candidate responded with “that’s what my parents told me to say”. Most of the group hearing this story were not surprised. Many of them have been in hiring or manager roles of some sort in the past ten years and reported that it is becoming more common for those helicopter parents who harassed teachers about grades or college professors about assignments to continue on to the workplace and be over involved. Another dinner attendee asked the group how many of them have received a phone call from an irate parent about the salary or benefits their child was being offered. I was aghast at how many nodding heads there were around the table. Seriously? Every summer, my daughters attend an all-girls, sleep away camp in the Berkshires that develops young women to be independent thinkers and leaders. When the girls “age out” of camper status, they have the option of applying for a Leader in Training (LIT) program. There are only ~30 positions available for this coveted program and an average of 2-3 times that number of former campers apply. Each year, the camp director sends a very stern email to parents that explains the selection process and the competitive nature of the few spots in comparison to the number of applicants. She makes it clear to parents that she welcomes a call “from your child” if she is not selected and wants feedback or guidance on other leadership pursuits that summer. Yet, the camp director says that every year, without fail, parents continue to call on behalf of their daughters. Certainly it is a big disappointment when your child doesn’t get what they want or you want for them. When one of my daughters did not get into the camp LIT program it was a very mournful day (more like a week) in the Austin household, but my daughter grew tremendously from the experience. She not only learned how to accept rejection, but she became more aware of who she was and what she really wanted to pursue. It was a pivotal moment in her life and one I am so grateful for her to have experienced at such a formative age. She has since applied to programs more thoughtfully (she ended up spending that summer doing a program with NYFA and is now a sophomore in NYU-Tisch‘s Film and Television program) and is now experiencing the job application process with mixed results (“how does one get their first barista job if they all require prior barista experience??”). It has been entertaining and sometimes heartbreaking to watch her trip and fall as she gains her legs as an adult, but hey, we watched her learn to toddle a long time ago. We never did the walking for her. One of my favorite parenting books read when my girls were very young is The Blessing of A Skinned Knee, by Wendy Mogel, PhD. She writes of over-indulgence in today’s society (too much stuff, over-nurturing and soft structure) and how it leads to children actually feeling unlovable, needing constant affirmation, lack skills and lack self-sufficiency. Many managers of young professionals today, express frustration with these characteristics of their work force – needing constant affirmation and lacking that self-starting grit that comes from many a skinned knee. Our job as parents is to provide our children with tools to handle what life brings them. To be empathetic and good listeners when they’re thrown a curve ball and to make suggestions and offer guidance when things are tough. If we do it all for them or augment their work, how will they ever be self reliant, confident, members of society? So, put that phone down and delete that draft email ,moms and dads! Go fly that helicopter over the Grand Canyon or some other joyful place. Let your kids skin their knees, get rejection and suffer the consequences. My bet is, most of you did that when you were their age and you became capable adults through the process.